← ‘Why Americans don’t love soccer’–not! Once, when refereeing youth soccer in Southern California, I encountered a coach who was being eaten alive by–the soccer ball color. Yes! The ball had been provided by the home team, as is traditional, and met all the requirements of the Laws of the Game as to shape (“spherical”), size, composition, weight and firmness. But the Laws don’t specify color, and here it matched the hue of the home team’s jerseys, a bright red. This was a bit of gamesmanship on the part of the home team, and it certainly was working, at least so far as the away coach was concerned. He and his team were clad in green. Before the match he bitched mightily about the ball color. Waving him off, I blew my whistle for the kick-off. I could see him stalking the touchline like a caged tiger hoping to strike. The first time the ball crossed the touchline on his side of the field to be out-of-bounds, there was the usual scramble to get it back into play. The throw-in was taken by a player–with a white ball. The away coach clearly was behind this. I stopped the match, demanded that the red ball be produced, and warned the coach that his action violated Law 2, which states, “The ball may not be changed during the match without the authority of the referee.” The coach simply shrugged. I ordered a re-do throw-in. Near the end of the first half, it happened again. I again caught it and again demanded the red ball. Now I was really irked and thought about tossing the coach, using the authority granted me under Law 5 (The Referee), which states the official “takes action against team officials who fail to conduct themselves in a responsible manner and may, at his discretion, expel them from the field of play and its immediate surrounds.” But really, a coach expulsion for a violation of Law 2 (The Ball)? The away coach smirked, knowing I wouldn’t give him the hook for something so trivial. In the lower divisions and other competitions, there is no official match ball and this can lead to bickering and one-upmanship. Balls presented to referees are usually different colours, disparate brands and in varying conditions of decay. So how does a referee choose? By following the rules, which state that so long as the ball is spherical and within the parameters set for the size, weight and pressure, it is playable. There is nothing that states one ball is better than another based on colour, brand or material. The bickering starts when players turn up their noses at their competitor’s ball and attempt to out-psyche their opponents. “It’s bright pink; it’s too bouncy; there’s not enough air; it doesn’t feel right; call that a ball?” are the tried and tested methods. Soccer isn’t called the world’s sport for nothing. And that includes coaches seeing red. Thank you William for posting this article, I really enjoyed reading it. 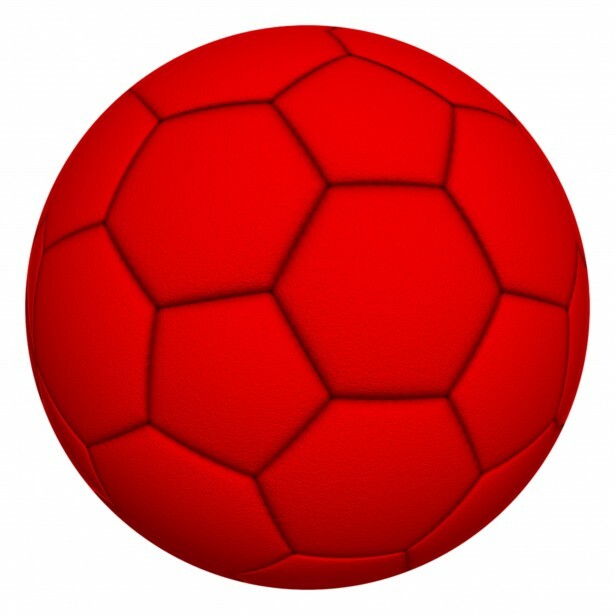 It’s funny how people might get confused and eventually frustrated because the color of the soccer ball is different than usually. I kind of understand it, but because there’s no law about the color, you should just accept it and be quiet about it. I actually got an idea to get multiple soccer ball products in different colors to help my soccer team to get used to changes. If it isn’t the ball color, it’s something else.